A: Yay! Spring break has officially begun! What’s your plan? B: I’m practically going to live in the library. I’m so behind in my school work. A: What?! Give me a break. You know, there is an old saying, “All work and no play makes jack a dull boy” so loosen up and enjoy this Spring break. B: I know. I should go out of town or something and get some fresh air. Anyway, have a nice Spring break! A: 와~ 드디어 봄방학이 시작됐다! 넌 뭐 할거니? B: 나 사실은 도서관에서 살아야해. 학교 수업 잘 못 따라가고 있거든. A: 뭐? 말도 안돼! 속담에도 “일만 하고 쉬지 않으면 바보가 된다”는 말이 있잖아. 그러니까 긴장을 좀 풀고 이번 봄 방학을 즐겨. B: 그래. 네 말대로 교외 나가서 신선한 바람을 좀 쐬고 오든가 해야겠다. 어쨌든 즐거운 봄방학 보내길 바래! A: What is the most memorable spring break you’ve enjoyed? What did you do? 가장 기억에 남는 봄방학이 있다면요? 봄방학 때 무엇을 했나요? B: It was when my best friends and I drove down to San Diego, California and laid out in the sun, and had some great food. It was the most memorable spring break for us. 전 친한 친구하고 캘리포니아 샌디에고에 놀러 간 적 있었는데요, 바닷가 해변에서 좋은 시간 보내고 또 맛있는 음식도 먹었던게 가장 기억에 남습니다. A: So, what do American students usually do during Spring breaks? 미국 학생들은 봄 방학 때 주로 뭘 하나요? B: It depends on the students, but usually they go back to their hometowns and have a meaningful time with their family and friends. Some students go on short trips, and others just stay at school and do their homework. 사람마다 다른데요, 보통은 집에 돌아가 가족과 좋은 시간을 보내고요, 친구들과 여행을 가기도 합니다. 또 리포트나 논문 등 할 일이 많은 학생들은 학교에 남아 뒤쳐진 공부를 하기도 하죠. - Spring은 봄, Break는 명사로 (일이나 수업 등의) 잠깐의 휴식을 의미합니다. 그래서 봄 방학을 영어로 Spring break라고 합니다. 또, 방학이라는 뜻의 단어에는 'Vacation'이 있죠. 그래서 봄 방학을 Spring vacation이라고 해도 틀린 말은 아니지만, 보통 미국 사람들은 ‘Spring break’라는 표현을 사용합니다. ‘Break’ 는 봄방학처럼 짧은 기간의 휴식을 말할 때 쓰고요, ‘Vacation’은 ‘Summer vacation’이나 ‘Winter vacation’처럼 ‘비교적 긴 기간 동안 휴식을 취하는 것’을 나타낼 때 쓸 수 있죠. 'Break' 라는 단어, 일상 생활에서 많이 쓰는데요, 예를 들어, “너 점심 시간이 언제니?” 는 영어로는 ‘When is your lunch break?’ 할 수 있습니다. 또 일하는 중간에 한 10분 정도 커피를 마시면서 쉬는 경우가 있는데요, 이렇게 잠시 커피를 마시면서 쉬는 시간을 'Coffee break' 라고 한다는 것도 기억해 두시면 좋을 것 같습니다. - 넌 봄방학에 무엇을 할 거니? 라는 뜻입니다. 이 ‘What’s your plan’ 다음에 전치사 ‘for’를 넣으시고, (어떤 날)을 넣으시면, 넌 (무슨 무슨) 날에 무엇을 할 거니? 라는 뜻이 됩니다. 예를 들어, ‘너는 이번 여름 방학에 뭐할 거니?’를 영어로 하면, What’s your plan for this summer vacation? 이 되는 거죠. I’m practically going to live in the library. 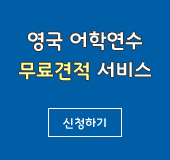 - 'Be going to', ~(무엇 무엇)을 할 예정이다라는 뜻입니다. 그래서, 'I’m practically going to live in the library.' 라고 하면 ‘난 사실 도서관에서 살 거야’, 라는 뜻인데요, 말 그대로 도서관에서 먹고 자고 한다는 것이 아니라, 그 만큼 도서관에서 계속 시간을 보내며 공부를 해야 한다는 의미겠죠? I’m so behind in my school work. 또 “나 할 일 정말 많이 밀렸어.”라고 말할 때도 이 'be behind in~' 표현을 쓰실 수 있는데요, 예를 들어 ‘나 정말 일이 많이 밀렸어, 다 끝내려면 한 며칠 정도 걸릴겠어.’를 영어로 하면, I’m so behind in my work, it’ll take several days to catch up. 이 됩니다. 또 돈이 없어 전화 요금이나 방세 등을 못 내는 경우가 간혹 있는데요, 이처럼 내야 할 비용을 내지 못하고 있는 상황을 표현할 때도 behind를 쓸 수 있습니다. I’m + ‘밀린 기간’ behind 을 넣으시고요 + with 다음에 (전화 요금, 방세 등)을 넣어서 나타낼 수 있습니다. 예를 들어서 한 번 알아볼까요? ‘나는 지금 전화 요금이 세 달 밀려 있어.’라는 표현은, I’m three months behind with my telephone bills. 하고 표현하시면 됩니다. 즉, I am 다음에 세 달 밀려 있으니까, three months, 넣으시고요, behind with 다음에, 전화 요금, 영어로 telephone bills 이죠? 그래서, I’m three months behind with my telephone bills. 가 되는 거죠. 어렵지 않죠? - 누군가 어떤 말을 한 것에 대해 믿지 못할 때 쓸 수 있는 표현입니다. 그러니까, ‘Are you kidding me?’ ‘You’ve got to be kidding!’ 의 의미로, ‘뭐? 말도 안돼’, ‘말도 안 되는 소리 하지마’ 라는 말이죠! 자, 본문에서는 친구가 신나게 놀아야 할 봄 방학 때 도서관에서 밀린 공부를 한다고 하니까 믿지 못하겠다며, Give me a break! 한 거죠. ‘말도 안돼!’ 이런 뜻입니다. 또 이 Give me a break 는 누군가 자신을 자꾸 괴롭힐 때 쓸 수 도 있는데요, 그 때는 나 좀 귀찮게 하지마! 제발 그냥 좀 나줘! 라는 뜻입니다. 누군가 자기를 쫓아다니거나 귀찮게 할 때, Give me a break! 하면 나 좀 가만히 내버려 둬, 라는 뜻이니까 꼭 기억해 두셨다가, 나중에 청취자 여러분을 귀찮게 하는 미국 사람이 있으면 꼭 영어로 해보세요! You know, there is an old saying, “All work and no play makes jack a dull boy” so loosen up and enjoy this Spring break! You know, there is an old saying, “Time is gold”. 이죠! 계 속해서 어떤 속담을 말했냐 하면요, “All work and no play makes Jack a dull boy.”라고 했습니다. All work, 일만하고, no play 놀지 않으면 make Jack 잭을 만든다 a dull boy, 바보로, dull. 마지막 dull은 ‘둔한, 어리석은’ 이라는 뜻입니다. 즉, 일만 하고 쉬지 않으면 바보가 된다는 뜻이죠. 이 영어 속담도 그냥 외워 두시면 좋을 것 같습니다. 이 속담 말고도 미국 속담 속에서 Jack이라는 이름을 많이 찾아볼 수 있습니다. 예를 들어 ‘아내는 남편이 길들이기에 달렸다’는 속담, 영어로는 ‘A good Jack makes a good Jill’이라고 합니다. 'Jack and Jill' , 영어 속담에 많이 나오니까요, 꼭 기억해 두세요. 일찍 일어나는 새가 먹이를 잡는다. - Better be safe than sorry. - It’s a piece of cake. Loosen up and enjoy this Spring break! - Loosen은 마음을 편하게 먹다, (긴장 등을)완화 하다는 뜻이 있는데요, Loosen up means to become more relaxed and feel less worried, 즉 마음을 편안하게 먹고 (어떤 일에 대해) 걱정을 하지 않는 다는 뜻입니다. 그러니까 loosen up은 relax yourself 와 같은 뜻이라고 생각하시면 됩니다.